Saving Downsyndrome » Screening for Down Syndrome: Is it therapeutic? There has been a bit of discussion going on around the place about screening for Down Syndrome having a therapeutic benefit. So what is the situation here in New Zealand? To ensure that antenatal screening exists only to provide unborn children with Down Syndrome and their parents with life-affirming, unbiased care through education, support and understanding. This is because we are advocates for people with Down Syndrome. Our view is that antenatal health care should be just that – supporting those wanted pregnancies through health care. We don’t recognise a role for screening to be used to prevent the births of children with the extra love chromosome, that is selection and eugenics. 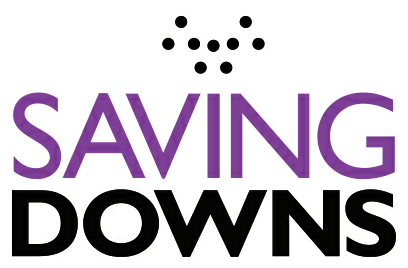 Saving Downs acknowledges that people with Down syndrome have an inalienable right to life from the moment of their conception until natural death, a right to be free from discrimination, and a right to be treated on an equal basis with all. Saving Downs supports the use of screening only to promote safe birth outcomes for those who wish to have access to screening for this purpose. 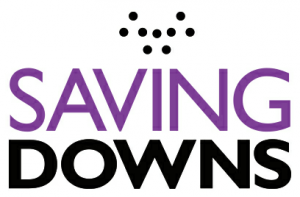 Saving Downs opposes any form of antenatal screening and diagnostic testing that targets, and prevents, the birth of unborn children with Down syndrome, or causes harm to any unborn child. In medical considerations, a proposed theoretical scenario of benefit or ‘beneficence’ would need to be statistically more likely to provide therapeutic gain than the stipulated Royal Australian and New Zealand College of Obstetricians and Gynecologists (RANZCOG) foetal mortality rate. The benefit or gain it proposes would also need to be proportional to the significance of the hazard imposed on the tested individual, i.e. death. If these criteria are not fulfilled, then the test is non-therapeutic. Invasive prenatal diagnosis carries a RANZCOG stipulated additional foetal mortality rate of up to 3% for CVS and up to 1% for amniocentesis (both in addition to the normal miscarriage rate), and with increased foetal mortality rates in trainee hands. This risk to the foetus is considered disproportional to the comfort of foreknowledge, and disproportional to the known facts that conditions whose managed survival outcome is deemed dependent on invasive testing are rarer than the testing death rate. The difference between therapeutic and non-therapeutic testing is an important explanation to give to parents. We submit that pregnant women and their partners must be advised that the screening pathway is non-therapeutic and that must be made very clear in the outset for facilitating informed consent. We submit that pregnant women and their partners must be advised that participation in the screening pathway imposes more harm than benefit to their unborn child, through miscarriage and morbidity due to diagnostic testing. That’s all a bit technical. It simple terms it means that if one enters the diagnostic (invasive test) part of the screening pathway, then on balance the unborn child will exposed to more harm than good. So, we believe that parents who want the information to be prepared need to understand this risk before they enter the screening pathway. Apart from foetal testing mortality rates there are foetal morbidity rates which the mother needs to consider before consenting to the screening pathway. Limb deformities, lung problems, infection and other consequences of slow ongoing amniotic fluid leaks have been well documented. This morbidity and other complications are not mentioned anywhere in the draft health practitioners document. We submit that pregnant women and their partners must be advised of the mortality and morbidity rates associated with each test and the additional risks associated with trainee practitioners. The difference between therapeutic testing and non-therapeutic testing is one which will need to be made very clear in the outset, again for reasons of informed consent. Screening cannot itself diagnose or identify. It can only point one in twenty mothers, those 5% of the whole New Zealand population who will screen at increased risk, to invasively test or not. Invasive prenatal diagnosis carries a RANZCOG stipulated additional foetal mortality rate of up to 3% for CVS and up to 1% for amniocentesis (both in addition to the normal miscarriage rate) with increased foetal mortality rates in trainee hands. This risk to the foetus will be considered disproportional to the comfort of foreknowledge, and disproportional to the known facts that conditions whose managed survival outcome is deemed dependent on invasive testing are rarer than the testing death rate. Any scenario postulated of benefit, to be genuine, should be investigated with an invasive test done as late as feasible in the pregnancy, to avoid foetal death, and risk only foetal prematurity. The difference between therapeutic and non-therapeutic testing is an important explanation to give to parents. We submit that all misleading assertions overstating what screening can actually achieve be corrected. We submit that pregnant women and their partners must be advised that the screening pathway is non-therapeutic and that must be made very clear in the outset for facilitating informed consent. To summarise then, there are real risks associated with the invasive testing stage of the screening pathway. We understand that some parents want this information and we want them to be fully aware of these risks before making that decision. As an advocacy group for people with Down Syndrome we only support screening for life affirming care and support parents who want to use it for that purpose. However, parents should be aware of the potential harm to their children if they enter the invasive testing stage. In medical terms the level of harm across the population exceeds any medical benefit that relies on a diagnosis of Down Syndrome. Essentially it is a programme to screen Down Syndrome out of the New Zealand population. Fantastic post – it really clarifies the issue for me.